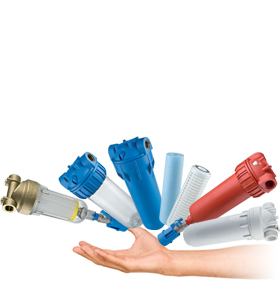 Rain water filters: self-cleaning multi-stage filters for recycling rainwater. Filter rainwater and reduce your impact on resources, save and decrease water consumption. The HYDRA RAINMASTER DUO self-cleaning rainwater filters are two stage units dedicated to treating rainwater. The HYDRA RAINMASTER TRIO self-cleaning rainwater filters are three stage units filtering and harvesting rainwater.